Chaque année Nature propose une sélection d’images scientifiques qui expliquent, éclairent, interpellent, interrogent. Profitez donc de ces couleurs que Expériment@l-Tremplins a sélectionné (en VO) pour vous et savourez dans la grisaille qui recouvre souvent nos régions. L’article est ici doi:10.1038/540500a (Les membres Expériment@l-Tremplins peuvent obtenir ces articles…). 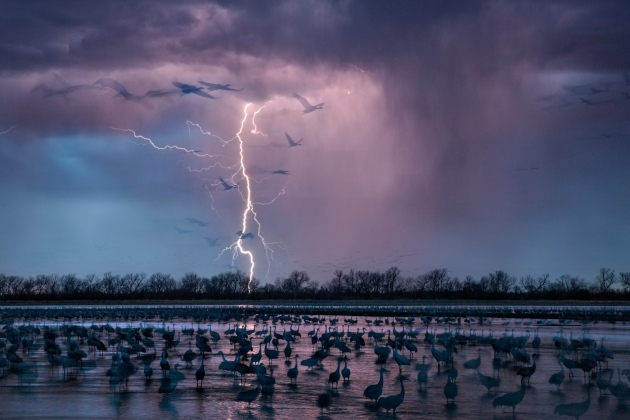 Hundreds of thousands of sandhill cranes (Grus canadensis) converge on Platte River in Nebraska as part of their annual migration. Photographer Randy Olson was taking long-exposure shots in March when lightning struck, creating these ghostly outlines. 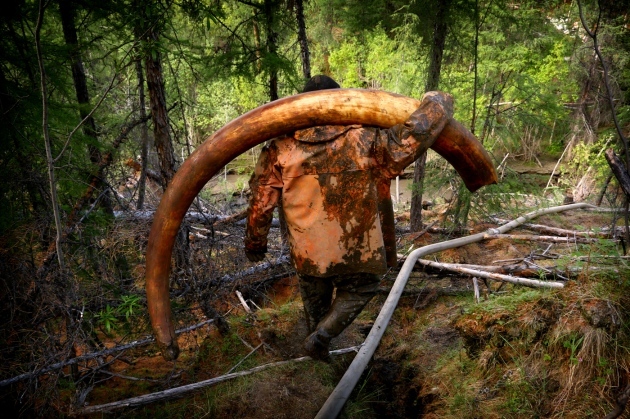 The vast tusk of a long-dead mammoth is carried out of a forest in Yakutia, Siberia. Ancient ivory from mammoths has become so valuable that some prospectors now illegally ‘mine’ them from permafrost. A large tusk can be worth tens of thousands of dollars. 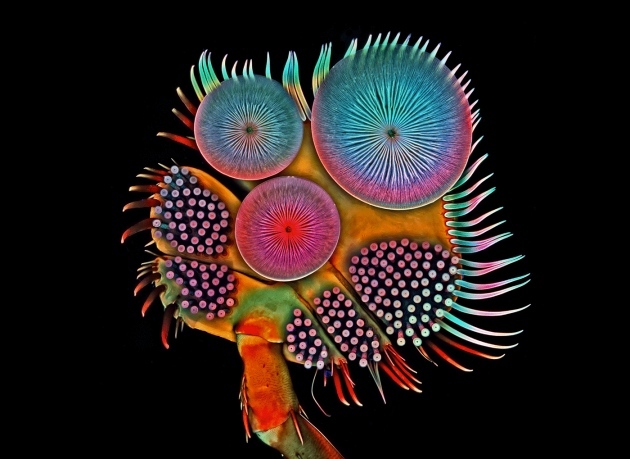 This spectacular tarsus — the lowermost segment of an insect leg — is roughly 2 millimetres in diameter and belongs to a male diving beetle, which uses it to attach to a female’s back during mating. 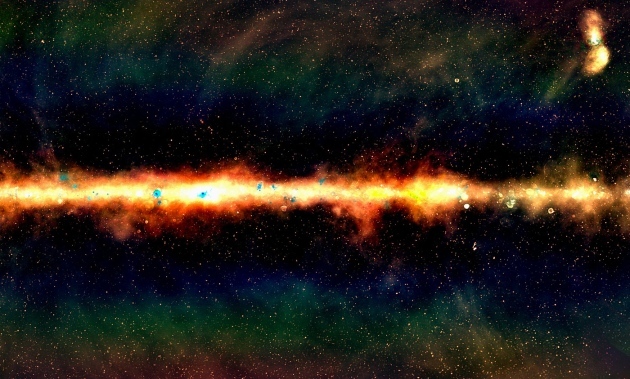 The largest and most accurate radiosurvey of the southern sky was unveiled in October by the high-resolution Galactic and Extragalactic All-sky Murchison Widefield Array (GLEAM) project. The Milky Way flows through this image, which encompasses more than 300,000 galaxies. 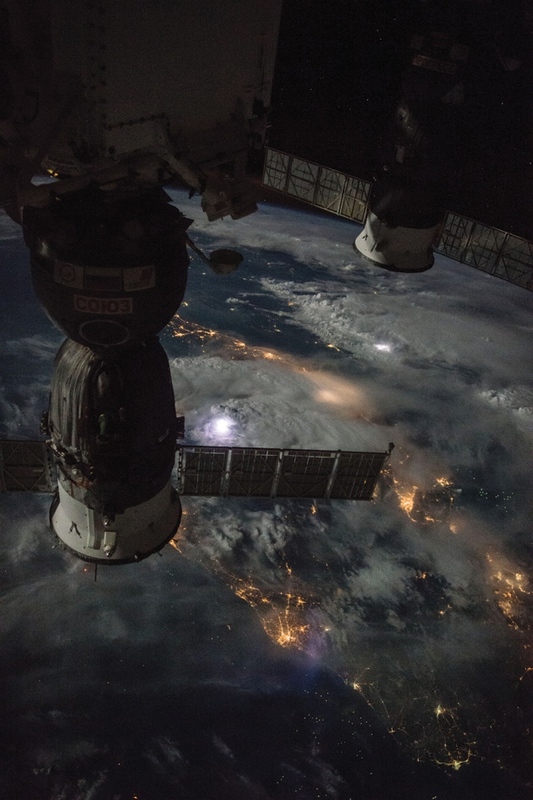 Far below the International Space Station, lightning flashes illuminate the clouds, as human activity is revealed by clusters of lights. Two Russian spacecraft visiting the station can be seen in the foreground. 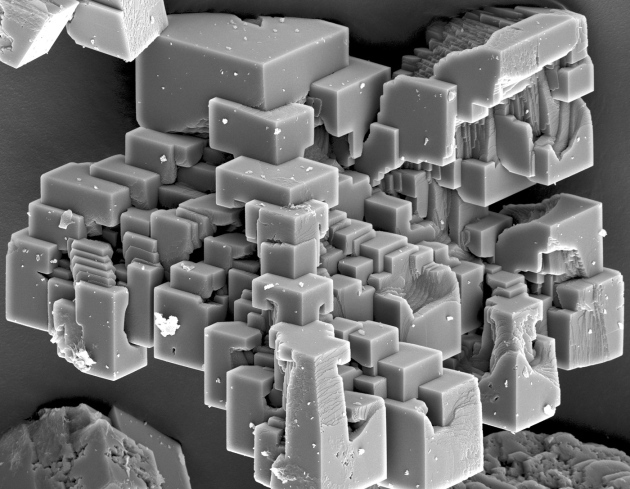 These strange structures are calcium carbonate crystals, imaged at 2,000× magnification. 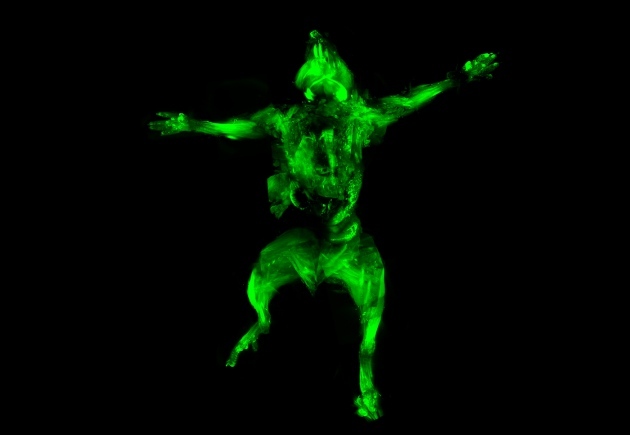 In August, a team in Germany unveiled ‘ultimate DISCO’ — a technique that both renders tissues transparent and shrinks specimens, so that a whole animal can be imaged in one go. The technique can reveal the nervous system and organ systems within a body in unprecedented detail. 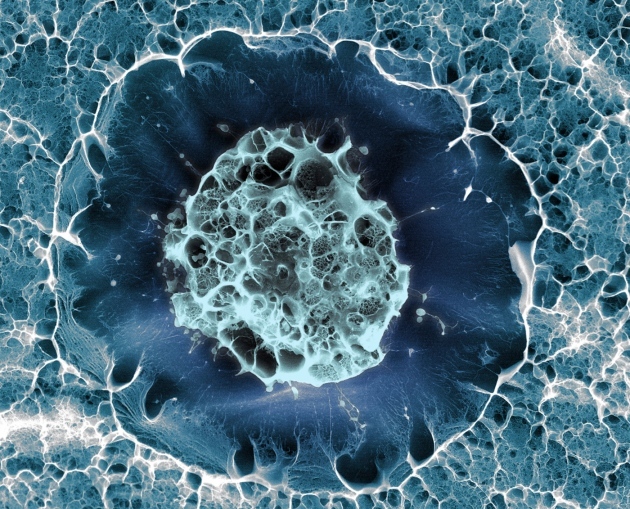 This human stem cell is just 15 micrometres across, and was false-coloured after being imaged using cryogenic scanning electron microscopy. 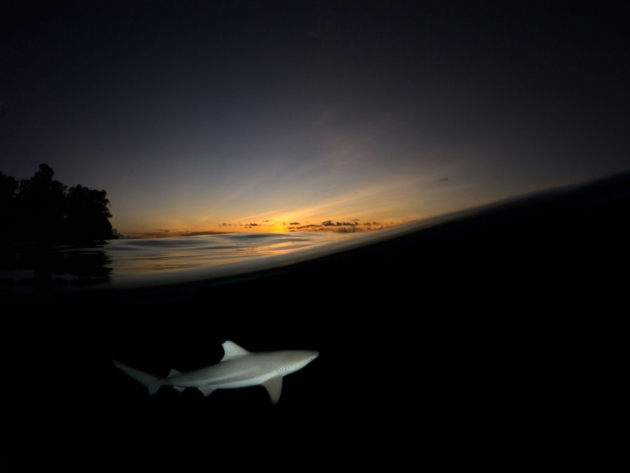 In compiling this year’s collection of stunning photographs, members of the Nature team each identified an image that said something special about science. Here is their personal take on the past 12 months.